The story starts in a place where time has stopped. 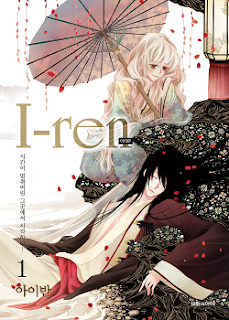 Ren makes a big decision to attend a bride contest for his friend, Hwa-Ran. Disguised as a woman, Ren bravely enters enemy territory. He reveals his strength by knocking out his potential bridegroom and breaks the house down. At last, he is included in the final three bride candidates. why cant i open volume of i- ren ? Take a closer look at the blog first. you should read the Guidelines!!! I don't think so ,did you extract the rar files ? yes, i did. how long is this manga? volume 7 is not already? Hi! Just letting you know vol 4 RAR file is damaged. Only some pages extract. Thanks! vol 7 is the end of I-Ren ? Por favor resubir el volumen 5 y gracias por su trabajo.